Interlaken as its name suggests is between two lakes. 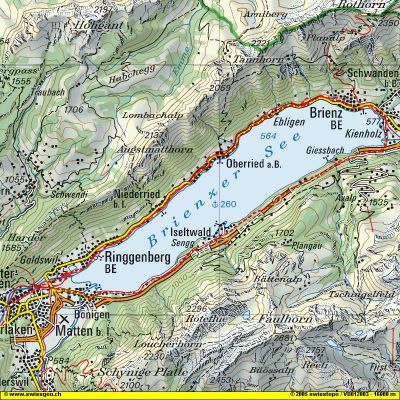 Today we road around the east lake: the Brienzersee. A fantastic ride with great views of snow peaked mountains and the super bright blue lake. We had ridden along the south shore before with a couple of steep climbs, but had never tried a circuit.